University officials have announced changes to the parking areas surrounding Leggett & Platt Athletic Center for next week’s Commencement ceremony. 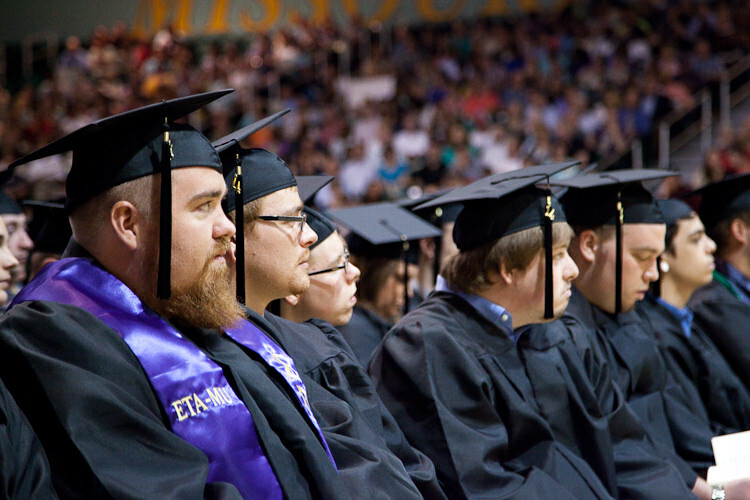 The changes have been made in order to designate more parking for special needs/handicapped attendees planning to attend the Fall Commencement ceremony, set for 10 a.m. Saturday, Dec. 17. University Police already designate Lot 13 (Victory Lane, or the circle drive in front of Young Gymnasium) as handicapped parking. In addition, Lot 15 (the parking lot next to the Health Sciences building) and Lot 12 (the spaces on the east side of Leggett & Platt near the Child Development Center) will now be used as handicapped and special needs parking. University officials recommend that faculty, staff and students arrive early for the event. Non-handicapped spaces will still be available behind Leggett & Platt (Lots 11 and 43) as well the parking around the football stadium.